"Button Up Your Overcoat" is a popular song. 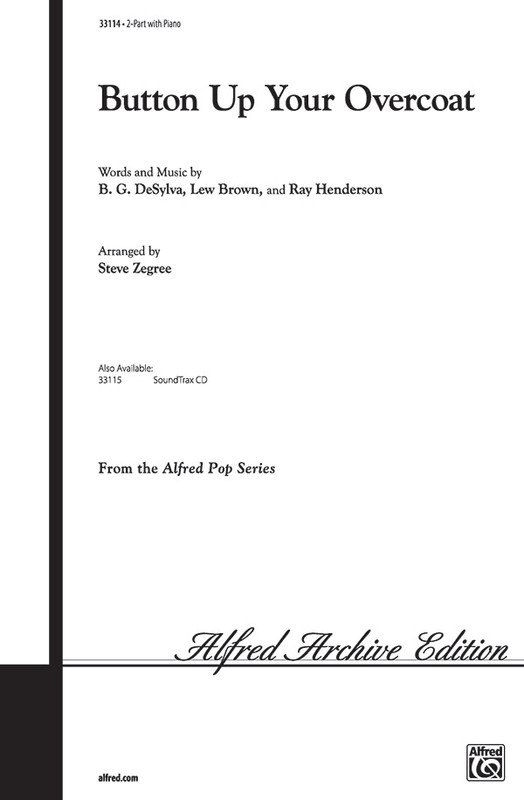 The music was written by Ray Henderson, the lyrics by B.G. DeSylva and Lew Brown. The song was published in 1928, and was first performed later that same year by vocalist Ruth Etting. However, the most famous rendition of this song was recorded early the following year by singer Helen Kane, who was at the peak of her popularity at the time. Kane's childlike voice and Bronx dialect eventually became the inspiration for the voice of cartoon character Betty Boop. This book provides hours of singalong fun around the piano!